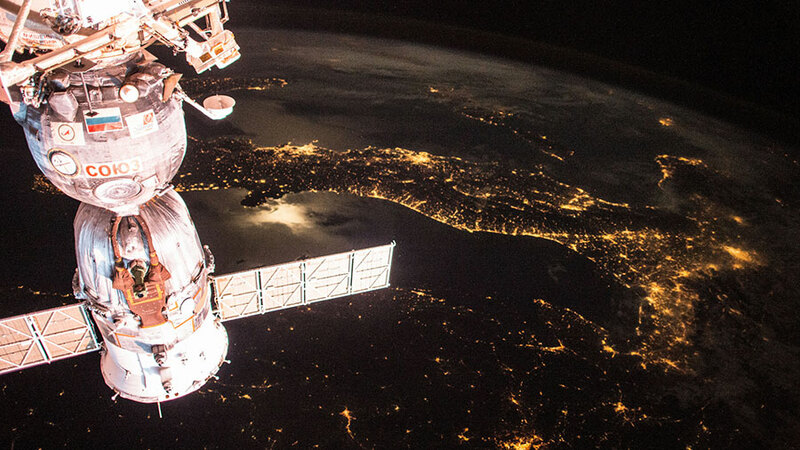 Welcome to Part II of our review of 2015's greatest moments on the International Space Station. At night, the "pale blue dot" becomes a diamond. In July, astronaut Scott Kelly celebrated the 100th day of his One-Year Mission. Shortly thereafter, Kelly's cosmonaut comrade Gennady Padalka celebrated his 810th day in space, making him the world-record holder for most accrued days offplanet. Padalka had amassed his amazing orbital tour numbers thanks to a stint on the Mir space station plus four separate missions on the ISS, and took the title from fellow Russian Sergei Krikalev, who had spent a total 803 days in orbit. NASA's first commercial spacecraft crew was named, with all four astronauts - Robert "Bob" Behnken, Eric Boe, Doug Hurley and Sunita “Suni” Williams - slated to fly to the ISS on spaceships designed by Boeing and SpaceX. No launch date has yet been set, but we'll be the first to let you know! but Expedition 44-45's is pretty sweet. At the end of July, the Expedition 45 crew of NASA astronaut Kjell Lindgren, JAXA astronaut Kimiya Yui, and cosmonaut Oleg Kononenko flew to the ISS, where they began work on protein crystal experiments, vegetable growth experiments, and more. In August, the crew sampled space-grown lettuce that had been cultivated entirely on the ISS as part of NASA's "Veggie" experiment. This was a major spaceflight first, and could lead to many insights on how to grow crops for long-duration missions of the future. Cosmonauts Padalka and Kornienko conducted a spacewalk in which they replaced old parts, cleaned up a bit, and brought in an experiment that had specifically been left on the station's exterior to monitor the accrued effects of space plasma. One small snack for a man, one giant leaf for mankind. In September, we mere Earth-bound humans went on vacation. The ever-vigilant ISS astronauts did not, and continued space business as usual on their orbital home. Another massive earth-based storm, another useful spacewalk, and (as always) lots of experiments occurred in October. One particularly interesting experiment was the Neuromapping investigation, which deals with how mental acuity and perception are altered in microgravity. So far, all of the astronauts have proved to remain adept and focused as ever while maintaining their missions. 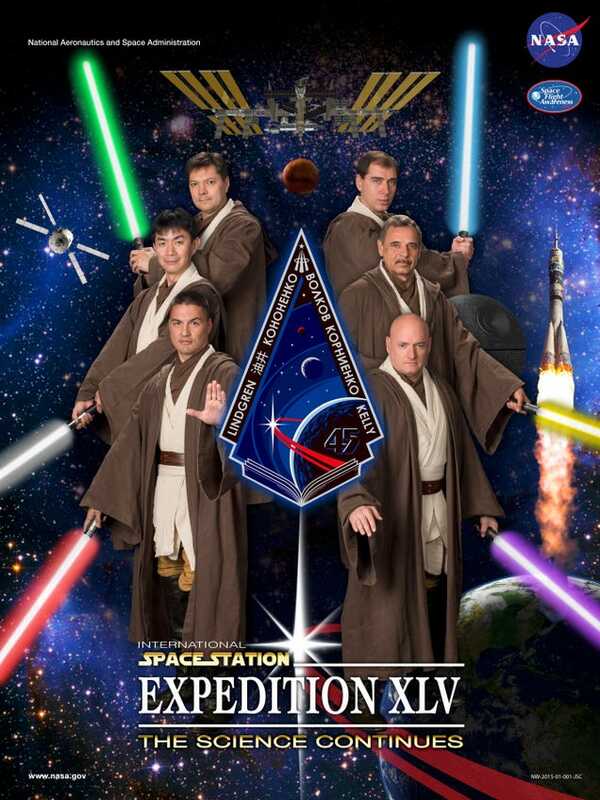 On November 2nd, the station celebrated its fifteenth anniversary in orbit. Kelly and Lindgren took a second spacewalk to maintain the cooling system and ensure the ISS was still up to snuff. Their previous space-stroll included the pair adding components that will facilitate future docking for new spacecraft. Later last month, for his great work in the cause of orbital existence, Kelly was voted Scientist Of The Year by R&D magazine. "I've learned that human potential is limitless, and we should never stop pushing the boundaries of exploration," he said of his research/current lifestyle. He also recognized "all of the great scientists who came before me to make life in space possible." The pioneering spaceman captured this "earth art" image over Australia. In December, an Orbital ATK Cygnus cargo craft brought a Santa-worthy load of supplies to the station. This mission was another in what will hopefully become a long line of NASA contractor companies stepping in to provide rocket trips to the ISS. The Expedition 45 team headed home, while three new crew members headed for the stars. NASA astronaut Tim Kopra, ESA astronaut Tim Peake, and cosmonaut Yuri Malenchenko arrived on December 15th, with Peake commanding much of the attention from the media, as he is Britain's first astronaut to serve aboard the ISS. That's just a brief overview of what went down (and up, and sideways) on the ISS in 2015. Stay tuned to Space Station Sunday for all the spectacularity, science, and surprises in 2016! Thanks to everyone for reading...watch this space! This is a huge achievement for the whole team. To go a long way a year means to become bolder, stronger, more enduring. I want that in the world there were more such accomplishments and that each of us could feel a bit of a hero. Man has mastered the cosmos, and the nasa develops it further - it is wonderful that we are so quickly exploring the cosmos. But today I want to tell you about the best service for the implementation of cheap essay writing and assigments on the Internet.